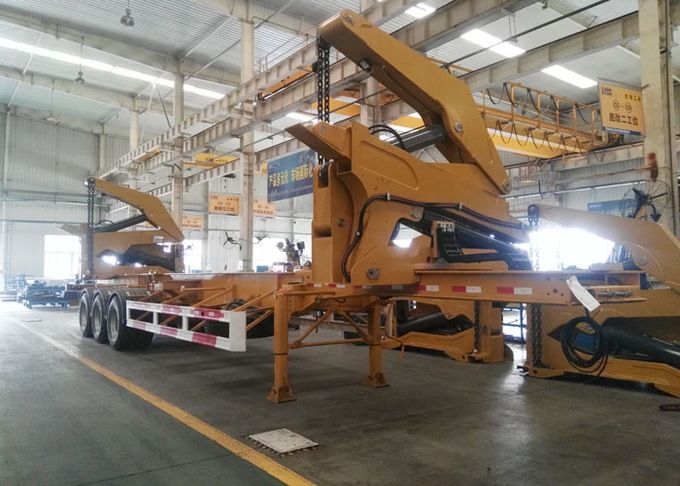 Which can choose 2 Alxes or 3 Axles, can laoding 30 - 40tons, 2X20 feets or 1 X 40feets container. The body includes a body, one side is hinged on the top of the at least one telescopic arm, hinged on the telescopic arm of the front end of the spreader, and a driving unit, which is characterized in that each telescopic arm is connected with a hydraulic cylinder, the cylinder luffing cylinder is fixed on the body the piston rod, wherein the hinge cylinder in the telescopic arm, one side of the piston cylinder of the telescopic arm through the spreader to the local rotation. Container Side Loader is special using for container loading and lifting. 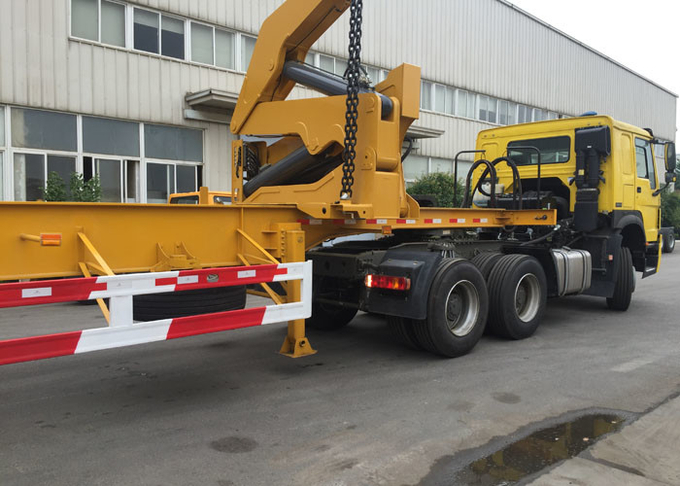 Which can lift and transport all kinds of 20 or 40 feets container, widespread use in transportation, civil construction (including constructional engineering, road and bridge engineering, municipal constructional engineering, mechanical engineering etc. ), landscape sanitation, electricity and telecommunication industry, field operation, pipeline transportation, stone industry, dock cargo handing and long distance goods transfer. After installed additional device, it can be used for traffic accidents and high altitude rescue. popular used in sea port. 7) Hexagon bending forming jib, reduced the horizontal shaking, make the operation more safety; Rotating device is made of high quality rotary support and reducer, make the action more supple and smooth.